Sajid Nadiadwala is one of the few people whose opinion matters to Salman Khan. Salman often turns to Sajid to acquire creative advice. Sajid was one of the people to whom Salman had shown the trailer of Bajrangi Bhaijaan before viraling it in the digital space. 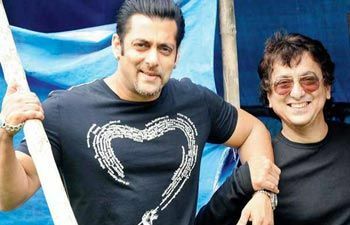 Sajid and Salman’s camaraderie dates back to 1996, where the duo had worked on a film together. They returned the following year with Judwa which brought immense appreciation to the duo. Sajid and Salman’s bond has strengthened over time since. Recently, Salman held a special screening of his upcoming film Bajrangi Bhaijaan for Sajid. Sajid thoroughly enjoyed the film and was mesmerized by the latter’s performance in the film. Sajid told Salman that he could instantly connect to Salman’s “Bajrangi” character in the film. Sajid, who earlier called the actor by his name, now addresses Salman with his nickname “Bhaijaan” ever since watching the film. Monty was by far the the most challenging character says Sidharth Malhotra. We Won’T Have To “Guess,” Kate Upton Says More Harassment Details Are On Their Way!